While not yet legal in all 50 states in the US, CBD products have risen in popularity, and are sold for a wide range of health problems. The cannabis boom is also being felt in other countries like Canada, where recreational use of marijuana was legalized this year. While less restrictions are a boon for merchants in the CBD business, they still face obstacles when it comes to obtaining a CBD merchant account. Fortunately, there are ways obtain a stable CBD merchant account—even for merchants who have been terminated. While cannabis is legal in Canada, the sale and use of cannabis is illegal under US federal law. For online merchants selling CBD products, this poses a problem when it comes to merchant accounts. CBD-related products are classified as high risk by acquiring banks, making them hesitant to offer payment processing solutions for online CBD merchants, regardless of where they are located. Even merchants that can secure a CBD merchant account face additional scrutiny when it comes to selling these products online. Certain geographic locations forbid these products outright, so merchants need to be aware of local laws and restrictions as they could be held liable. Online merchants may face immediate termination if they are caught breaking local laws or regulations, even if the business is not headquartered in that region. CBD merchants should also be aware that fraudsters do not discriminate. Just because a business is considered “risky” by banks doesn’t make it any less appealing to nefarious characters looking to make an easy score. In fact, it may make it more appealing. Online CBD merchants should monitor chargebacks and other signs of fraud. This means implementing end-to-end fraud prevention tools to avoid costly fines and fees associated with chargebacks. Merchants should also mitigate risk by using authentication best practices to confirm the identity of customers. A spike in chargebacks can cause CBD merchant account termination, which can permanently shutter a business. Given the volatile marketplace that has been governed by constantly-changing laws and regulations, some CBD merchants have already faced termination and may not know what the next step is. Fortunately, there is recourse—and a way to obtain a new CBD merchant account. Accepting credit and debit card payments is a necessity for online merchants, especially those in the CBD space. Without a CBD merchant account, these online businesses cease to exist. While traditional financial institutions may be leery of boarding CBD merchants, there are specialized high risk payment processors that are seasoned in both high risk and CBD merchants. It’s important to work with a trusted partner that is seasoned in your industry and can provide the right payment tools and strategy to help you grow your business. These providers are able to look beyond the biases of traditional banks to see the real value of your business. Some overlooked benefits of working with a specialist include lower transaction fees, no rolling reserves, no volume caps, and tailored help in boosting your bottom line. Traditional merchant account providers often impose strict limitations on high risk merchants—limitations that hamper business and inhibit growth. High risk specialists can offer benefits to CBD merchants that many forget to consider. Lower rates – High risk merchant account specialists offer cost-effective processing solutions. While rates may depend on your specific business model, high risk specialists generally offer better rates to unique businesses than they would find with traditional processors. Improved cash flow – Cashflow is the lifeblood of all online businesses, and slow funding times can cause serious problems. Specialized merchant account providers often offer faster funding times (within 24 hours) than traditional providers or payment aggregators. Better fraud & risk mitigation – High risk specialists are well-versed in the challenges CBD merchants face. As a high-risk business, CBD merchants face an onslaught of fraud and chargebacks that need to be properly monitored and managed. 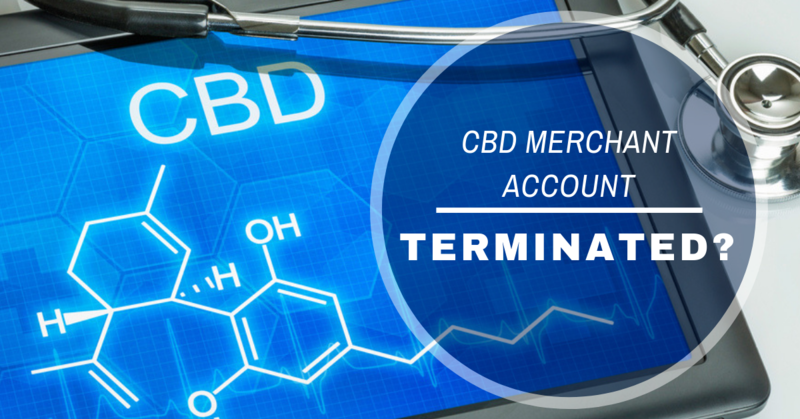 If you are a CBD merchant that has had your merchant account terminated, we can help. We specialize in providing stable, cost-effective merchant accounts. What’s more, we have ample experience working with CBD merchants. Our goal is to help legitimate businesses like yours thrive and succeed in a challenging marketplace. We use our deep experience in card-not-present (CNP) payments and unique business models to help you create a tailored suite of payment tools and processes built to boost your revenue and stop fraud in its tracks.